Think about how much packaging you interact with every day. Better yet, just think about how much packaging you come in contact with when you go to a grocery store. Just look down the rows and rows of boxes, and then think about how many grocery stores there are within a one mile radius. 99.999999% of these packages use fossil fuels, which is why it is so important that companies have started reducing their carbon footprint by becoming box-conscious with their packaging. Across the board, companies have started cutting and redesigning and reevaluating their packaging policies and the results have been very inspiring. Companies are now looking at packaging in a whole different way. Larger companies now have whole departments dedicated to researching greener packaging methods, and a lot of the methods have been adopted by smaller and medium sized businesses, too. 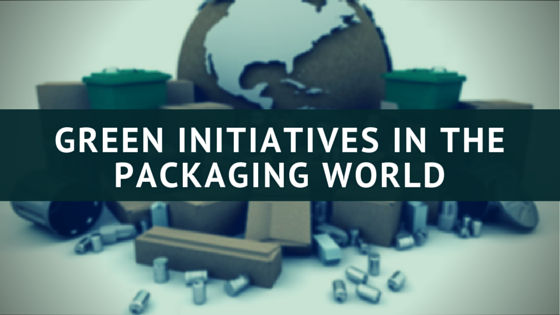 By changing things as small as part weight and packaging size, companies have begun to see not only a positive impact on the environment but on their yearly expenses as well. And by simply refraining from using environmentally costly materials such as PVC, packaging on the whole becomes much more recyclable and reusable, at least when compared to historic percentages. What’s the only way you can improve upon using packaging made from recycled scraps? By making packaging out of nothing man-made at all. If you listen closely enough, you can hear whispers of new packaging emerging that’s made entirely from biological material. This means no fossil fuels, no plastics, and nothing but 100% decomposable packaging. Granted as of now this is only possible for the consumer packaging of non-corrosive or non-“heavy-duty” substances, but it is exciting nonetheless. Dell, for example, has started looking into packaging made entirely from bamboo and mushrooms to package its products. Bamboo, a member of the grass family that can grow up to three feet a day, is not only a highly renewable material but also very clean to process — 70% of the water used during the process is reclaimed and there are no toxic chemicals used. But even more ingenious than bamboo packaging is something Dell is calling “mushroom bioscience”. In this process, agricultural waste products (i.e. rice and cotton hulls) are put into a mold and then have mushroom spawn inserted into the mix. After a growth period of a few days, the mushrooms grow into the shape of the mold and take on the consistency of Styrofoam but with the added benefit of being completely biodegradable. In fact, it has been reported that this packaging performed better in drop tests than foams did. Despite what people may have thought at first, green packaging has spurred on growth instead of restricting it. Technology and processes are being developed that can be used in other industries, and with the explosive annual growth of the green packaging industry (which is faster than the packaging industry as a whole) you can be sure that companies will be looking to these solutions if not for the environment then at least for the public relations and economic value they bring.